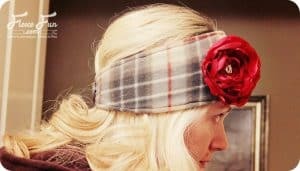 Inside: Looking for a warm (and easy to make) fleece hat?Look no further.This collection of free fleece hat sewing patterns comes with free pdf patterns and videos. 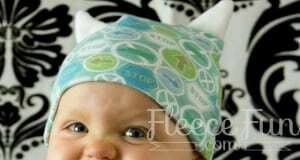 Here are all the free fleece hat sewing patterns that Fleece Fun has to offer. 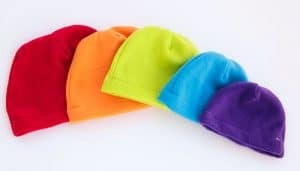 Many of the hats come in several sizes. They can be made for babies and adults alike. 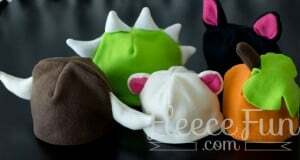 Start off with the basic fleece hat and then enjoy many of the variations – like the Halloween hat packs or the ribbon hat. 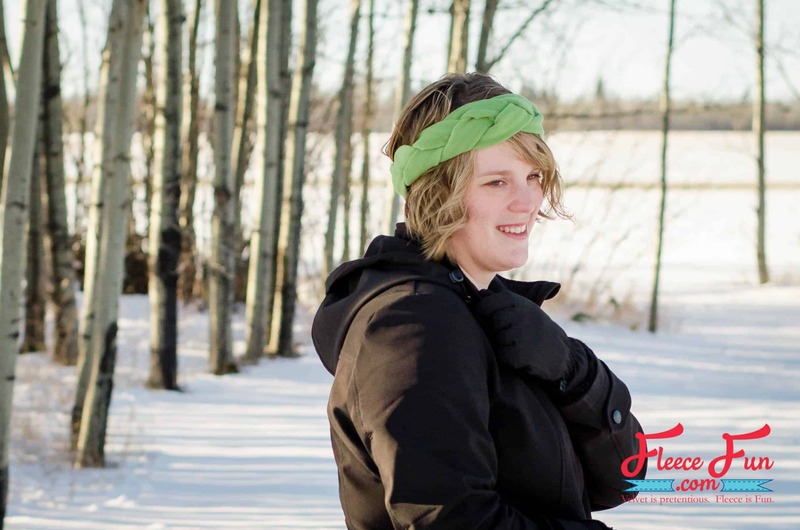 If you’re looking for something a little warmer try the Fleece hat with Ear flaps, trapper hat or the baby chin strap hat. 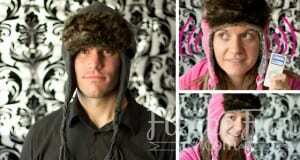 All of these free fleece hat diy’s are a great way to stay warm this winter. 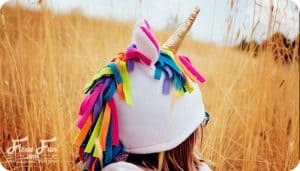 Yes unicorns are real and can be spotted on a daily basis when you make this fun modification of the basic fleece hat! Get the free pattern and tutorial here. 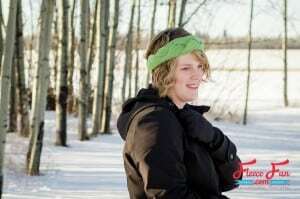 Looking for a fleece beret pattern? Try this one courtesy of AllFreeSewing – You can check it out here. I love the hat pattern. We are not able to give to Toy for Tots this year so I made 10 hats for the “hat and mitten tree” at the kids’ school to donate. They were easy to make and are really nice with warm, colorful fleeces. May GOD bless you like never before Madam. The gift of one’s time & energy is by far the greatest gift we can give to another. I wish you a very Merry Christmas, may peace, love & harmony reign down upon you & your family always. I LOOOVVVVEEEE your website!!! All the creations are just delightful!!! Keep up the great work! I love your site! 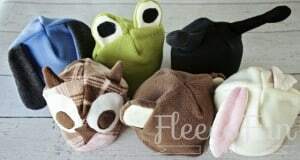 It has motivated me to purchase an affordable sewing machine ($75 – $90) and attempt to FINALLY make some fleece hats. As much for myself as for others. I hope it to be a win-win for all. 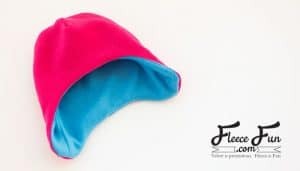 MY QUESTION — what should I look for when purchasing fleece?? I have noticed there are many thicknesses, and stretches….??? I’d hate to have my dreams crushed just because I purchases the wrong material. Any help would be SO appreciated!!!! Thank You _ and Happy Creating to You All !!!! A Great “first time” fleece is the basic ( and cheap “blizzard” fleece that you can buy at JoAnn;s. You can get it at a good price when it’s on sale and it will have the thickness and ease that you’re looking for. Good luck! Hello Angel, it’s me again – one year later. I tried the Hats and enjoyed every minute of it!! I ended up with 10 for babies & adults with college & sports as the main themes, Now, I’ve just got to get up the courage to ‘get them out there’! I look forward to your newsletters and can’t wait to check out the new contributors!! Thanks again. Go for it! You can do it girl. They sound cute. I just started with sewing but i love making hats for myself and friends now! Because of your ear patterns and such i can fit to everyones taste! You’re Welcome – I love that people can make the hats fit their personalities! Love your website!!! And all your great ideas, also your videos too. THANKS!!!!! Can’t wait to start sewing. Thank you for all the patterns. Your videos have helped me a lot since I have trouble reading.. I love them. II’m now sewing a hat for my grandson and just finished sewing a car seat cover for my nieces baby, she loved it. THANKS!!!!!!!! I have to tell you that I love your website and all your pattern, that’s amazing. i MAKE THESE HATS IN VARIOUS SIZES AND DONATE TO CHILDREN CANCER TREATMENT CENTERS IN kANSAS CITY AND TOPEKA, KS. what you have done for these cancer patients, is beyond words. All I can think to say is GOD Bless you Madam. I don’t have such a pattern but recommend looking at Allfreesewin.com or freeneedle.com to find a pattern. 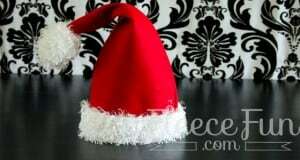 THIS IS SUCH A GREAT LITTLE SITE, IM GOING TO TRY MAKE THE SANTA HAT TODAY SO IWILL FOLLOW YOUR PATTERN BUT I WANT TO MAKE A LONG ONE SO I WILL CHANGE IT UP A BIT, IM USING FELT SO I WILL HAVE TO ALLOW SOME EXTRA ROOM AS IT DOESNT STRETCH. CANT WAIT TO TRY THE HALLOWEEN HATS TOO! I’m from Brazil and I loved your patterns, as you might know here in Brazil is too hot for fleece wearing, would those patterns work good on other fabric aswell? As example, cotton. Jersey knit ( t-shirt fabric) is a good alternative for hotter climates. Thanks for visiting!